Your donations help us to build playgrounds and create art education programs for kids all around the globe. Please donate today! We appreciate your generosity. Your continuing support each month will help us continue to give children all over the opportunity to play and create!! 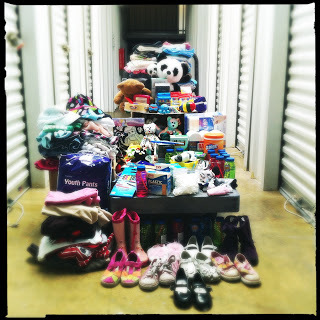 We also accept donations of toys, children’s clothing, medical supplies, and other items a children’s shelter could need. Above is photo of the goods we carried to India for Operation Shanti in 2012!